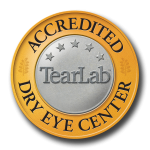 For extremely nearsighted patients, laser vision correction procedures such as LASIK, PRK, and Epi-LASIK may not be an option. A phakic IOL is a lens that is surgically implanted. The word “phakic” means the natural crystalline lens is left in the eye (not removed as in cataract surgery).